November is National Black Catholic History Month. "The contributions to the Church and to society by black Catholics such as Fr. Augustine Tolton, Sr. Elizabeth Drexel, founder of Xavier University in New Orleans, and countless others are remembered and celebrated this month. The three million black Catholics and all Catholics in the United States must rejoice in what has been accomplished and strive to add greatly to this work of faith. 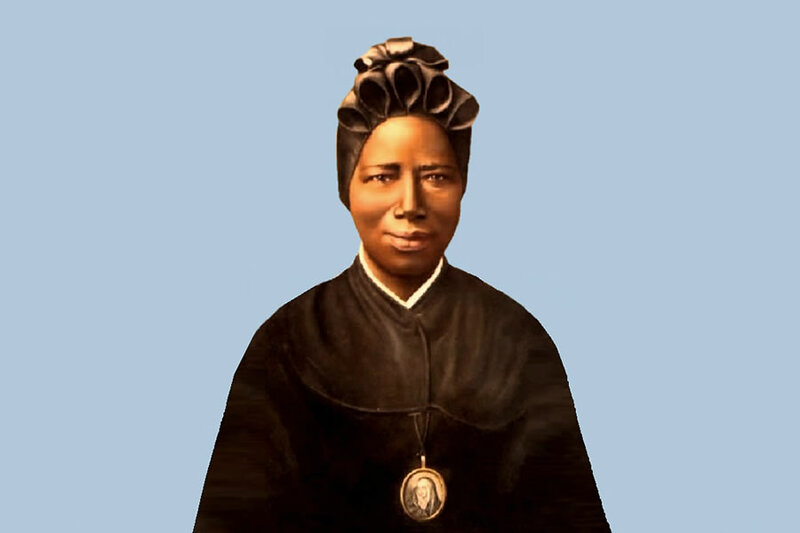 To learn more and celebrate the achievements of our brothers and sisters of African heritage, please join us Tuesday, November 21 in Mother Teresa Hall at 6:30pm for a special movie presentation on St. Josephine Bakhita. Pope Benedict celebrated St. Josephine as his main example in his encyclical on Spe Salvi on Christian Hope. Please note that this Thursday, November 23, we will have a special Mass at 9:00am for Thanksgiving Day. (There will not be confessions or a 5:30pm Mass this day.) Also, the school Mass is moved from Wednesday, Nov. 22 to Tuesday, Nov. 21 at 8:30am in Old St. Mary's. "Catholicism is graced with an abundance of truth. For instance, it sees order, beauty, goodness, meaning, and purpose in creation. It sees all these things, and more, rooted in an all-powerful, all-good, all-loving God. It also sees a glorious destiny for the children of God, which begins in this life when we are united with our Lord and Savior, Jesus. Catholics can offer these truths to our nation and help move America toward greater justice and blessings now and in the years to come. "Through the intercession of our nation's saints, we pray for the protection and well being of America. This is God's country. Let us give Him the thanks He is due this day, and everyday, by living as His true children. May God bless America!"